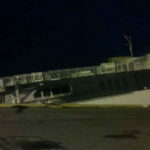 The 82 meter long, 361 dwt ro-ro passenger ferry Tallink Autoexpress 2 sank in Bay of Pozuelos at Puerto la Cruz, Venezuela. 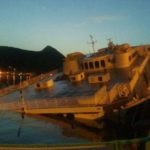 The ferry had been laid up in port for several years after a fracture was found in the hull. The ferry had no power on board and depended on power provided by the pier to keep the vessel’s pumps working. 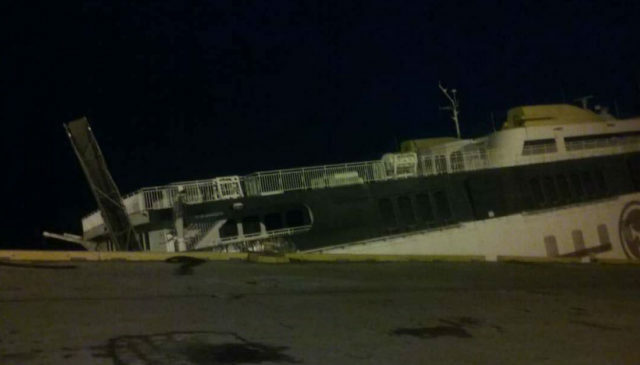 Reports state the power was removed eight months ago and the vessel had no working pumps. 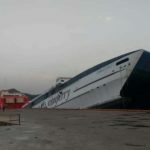 On August 4, the two people watching the Tallink Autoexpress 2 reported the vessel had suffered water ingress and the water levels were rising inside the vessel. The owners dispatched a pump to the scene, but the single pump was unable to keep up with the flooding. By August 7, the Tallink Autoexpress 2 had sunk by the stern. Reports state pollution was released as the Tallink Autoexpress 2 had some 40,000 litres of diesel fuel in its tanks. Authorities placed barriers around the hull and absorbent pads to collect the fuel spill. 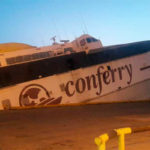 This is the third ro-ro passenger ferry to sink near Puerto la Cruz since 2010. The Mrs. Juana sank in 2010 and the Carmen Ernestina sank in 2016. 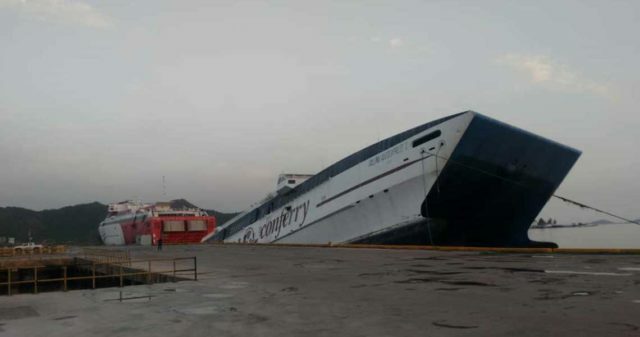 Four other ferries are berthed in Puerto la Cruz waiting to be scrapped.